Social networking is now recognized as a powerful tool for keeping followers, friends, fans and customers engaged in everything from information to products. But one of the more unknown uses for social networking is government organizations. As social networking becomes more and more powerful its clear to see that it can be used as another means of keeping the public informed of government issues and services. Along with TV and radio, the internet is now among the top sources of information people use to stay connected. While not as prominent as some of your typical social network users, government has at least made an attempt to get on board with this internet phenomenon. So get ready to head to the grocery store to horde water and stockpile supplies because here's a few government bodies that use social networking you may not have been aware of. One such example in the use of government social networking is the CDC or Center for Disease Control. (@CDCGov ) As if in today's world there wasn't already cause for unnecessary wide spread panic, one can now follow the CDC for all their global pandemic needs. The CDC Twitter and Facebook post daily on health related topics as well as link to health information on many disease outbreaks and possible health concerns. For those concerned about health related issues local and nationwide it is an informative place to either make you want to sterilize your entire house, or to separate fact from fiction on health related issues. One interesting thing the CDC does is putting a face on the people who run the show. @CDCgov retweets many tweets that it's own doctors post. This gives a name and a face to the organization, which helps the public feel more comfortable when interacting with the CDC. 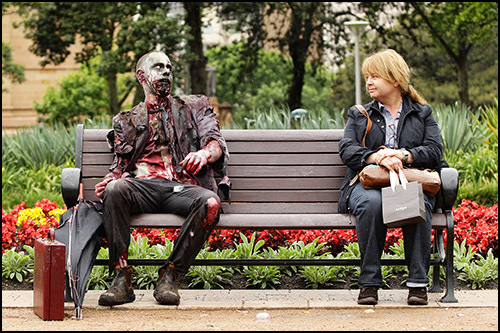 If you are at all concerned with the general health of the nation, or just want to be informed when the zombie outbreak finally happens, you really can't go wrong following the CDC. With over 250 thousand likes on Facebook and close to 120 thousand followers on Twitter the CDC actually does a fairly good job of keeping their posts up to date and frequent. Like any good disease control agency the CDC rarely responds to comments on Facebook or Twitter, preferring instead to let its followers panic alone. Engaging the public from topics ranging from Meningitis outbreaks to preventing teen violence its safe to say their target audience can span from people concerned with quality of life, to people just looking to keep tabs on current diseases outbreaks. Another example of a more localized use of social networking would be Los Angeles Fire Department. Since fire departments everywhere are usually a full service life saving agency, they are called out to almost every emergency imaginable. Do you hear those sirens going on in the distance? 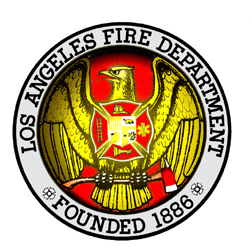 Why not follow the LAFD and they will inform you exactly what it is. And I mean exactly! @LAFD tweets almost every car accident, fire response and rescue you could ever want to know about. It's safe to say their social networks are targeted towards that special curiosity that all humans seem to possess. Now instead of gathering around the scene of an accident we can gawk from our keyboards at the ensuing chaos. While the LAFD mainly uses twitter as a means to detail all incidents it responds to, (enough to make even the most stalwart statistician cringe, its use of Facebook mixes in a bit more personable taste to the social network community. It showcases a few prominent members that are important to the department as well as mixing in a few disasters here and there just to keep you on your toes. The LAFD Facebook does actually respond to comments to it's citizens which works well to keep the public engaged. I know I jest about the panic some of these social networking tools provide when in the hands of certain government organizations. But just the mere fact that these organizations are using social networking tell us something. No longer is TV and Radio the predominant source for staying informed. With the ability to follow and be notified when these departments post, we can all happily subscribe and watch from our computers screens or mobile devices as madness descends all around us. I find this both comical and informative which is the best way, for me at least, to soak up information. I would have never thought to follow any government organizations before this blog post, but now that I know about them I think that it's worth it to take a look at them. As always Ike you do a great job at what you do!